Putting Vehicle Manufacturers on Notice When You Have a Lemon | The Consumer Law Group, P.C. You bought a new car in Virginia last year and were shocked to find something wrong with it shortly after you got it. After all, you bought a new car to be free of the constant maintenance and repairs required of a used car. Under the terms of Virginia’s Lemon Law, the first step is to formally notify the manufacturer of the problem and allow them time to remedy the situation. If you fail to take this step, the manufacturer will be given additional opportunities to repair your vehicle. We discuss the best way to comply with this requirement. What Is Considered Notification Under the Law? 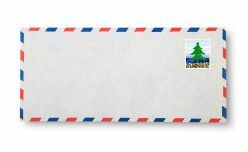 A written complaint of the defect or defects has been mailed to it. A factory representative has either inspected the vehicle or met with the consumer or an authorized dealer regarding the nonconformity. Once notification has occurred, the manufacturer has the opportunity to repair the defect. If the defect is not repaired with a reasonable number of repair attempts, you may have grounds for a replacement of the car or a refund of the purchase price under the Lemon Law. A copy of this letter is on our website. Just go to the home page and in the search box type in Notice Letter. If you believe your car is a lemon, you have properly notified the manufacturer, and have allowed the manufacturer to attempt to repair your car to no avail, you may have a claim under the Lemon Law. Call our office at 804-282-7900 to find out more.